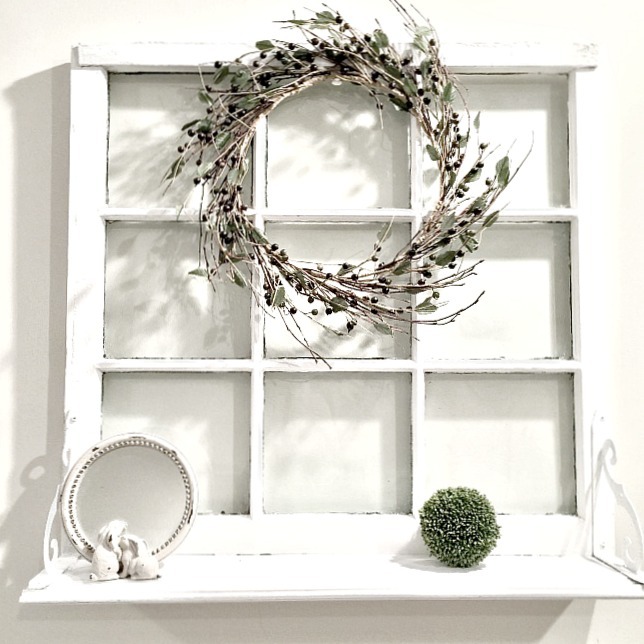 The client was also interested in purchasing the wreath I staged with the window. I set out to recreate a similar berry wreath so I could keep one for my staging and sell one to the client. I'm including affiliate links to similar products on Amazon so you can recreate the look. Click on the bold italic words for the links. Before I headed to Michaels for the wreath supplies I stopped at the thrift store. You never know what you'll find there and I was pretty open minded. I looked over all the floral centerpieces and discarded bunches of plastic flowers and that's when I saw just what I was looking for. 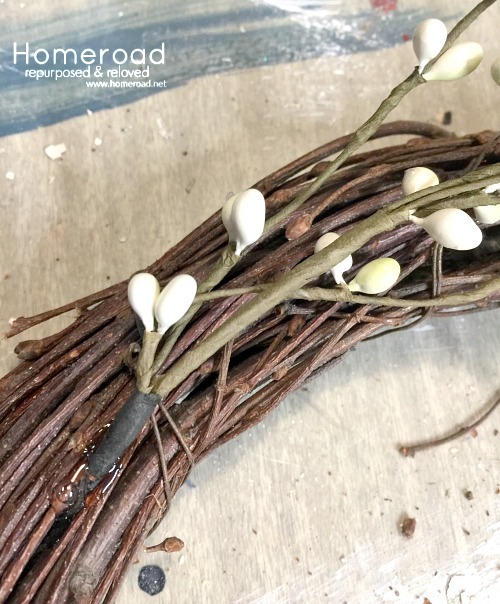 A partially finished (or maybe partially broken) grapevine wreath with plastic beads and a pip berry garland stuck to the side of it. At $2.99 then 1/2 off of that, it was just the right price too. I brought the ugly wreath home and pulled it completely apart. Most of the wreath went into the trash but this is what I saved. 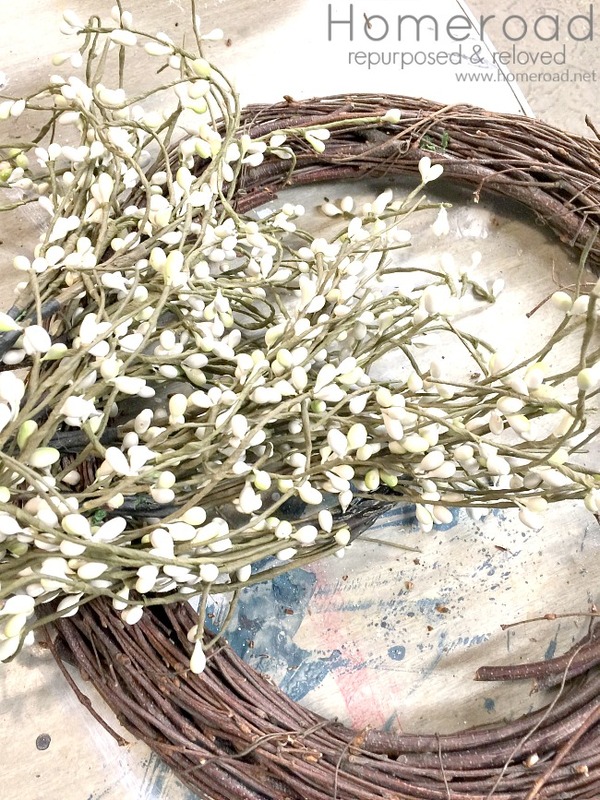 The grapevine wreath and the pip berries were in great shape. 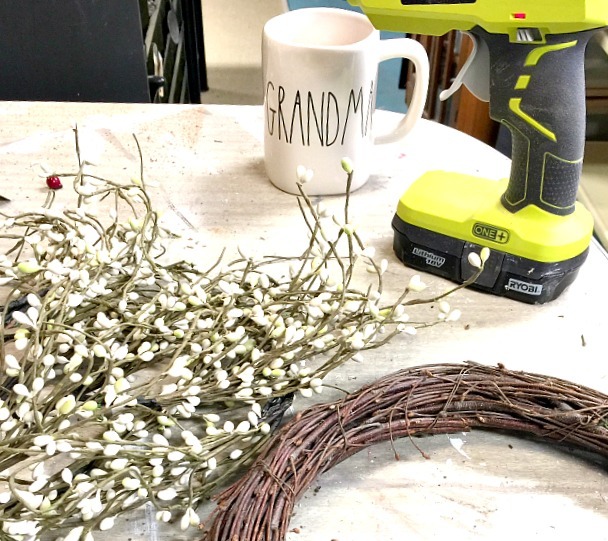 I grabbed my favorite Ryobi glue gun and a cup of coffee and got to work. 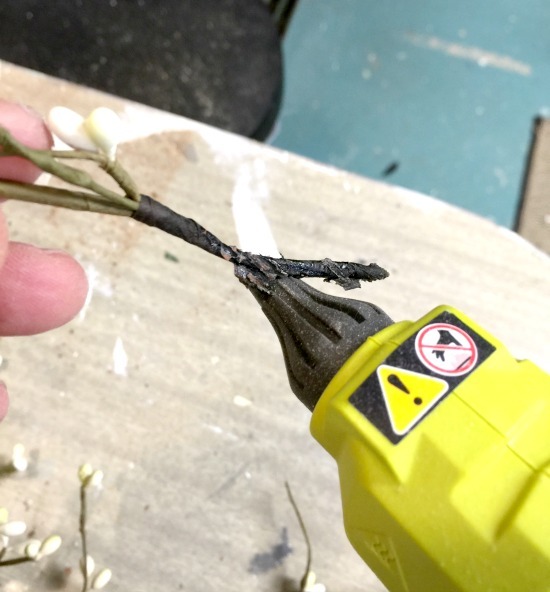 The ends of the pip berry stems can be wrapped with floral tape to hold a few stems together in small bunches, then hot glued into the wreath. 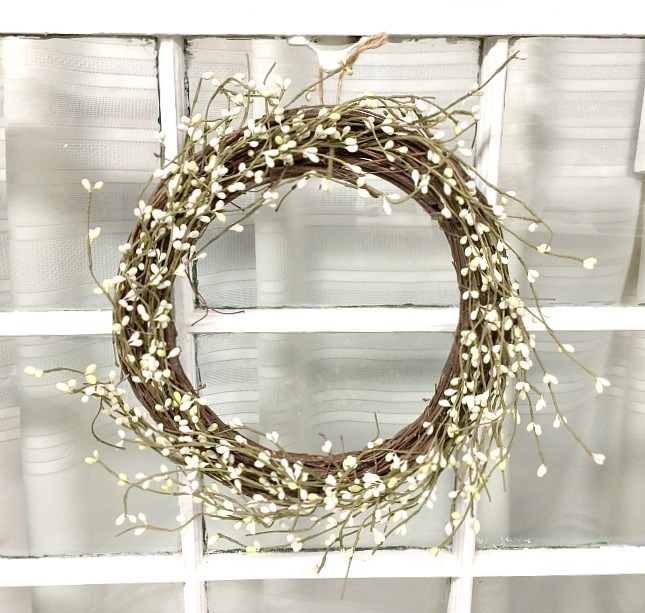 I added pip berry stems all the way around the wreath until I was back where I started. 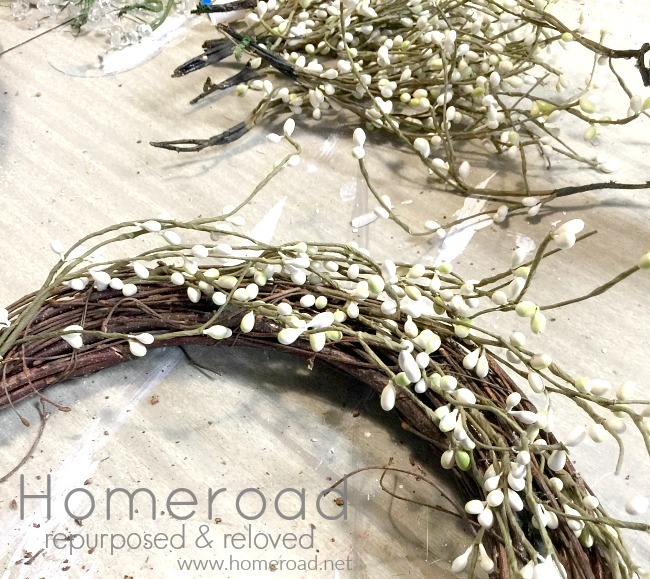 When I had gotten all the way around the grapevine wreath with the pip berries I fluffed them a bit and the wreath was finished. 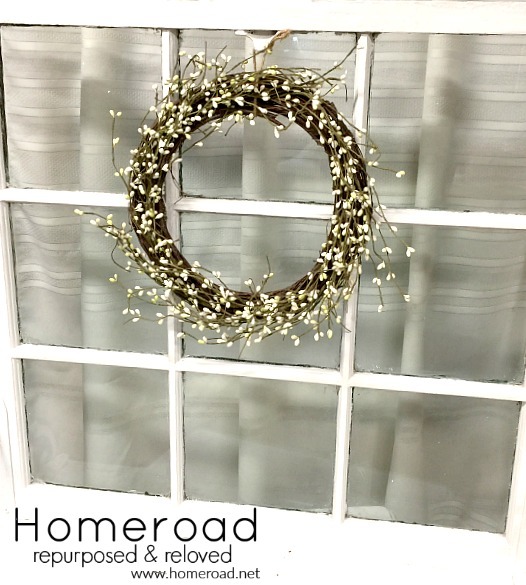 I had the perfect replacement for my own window wreath for the grand total of $1.50 and was able to sell the client the wreath she wanted. 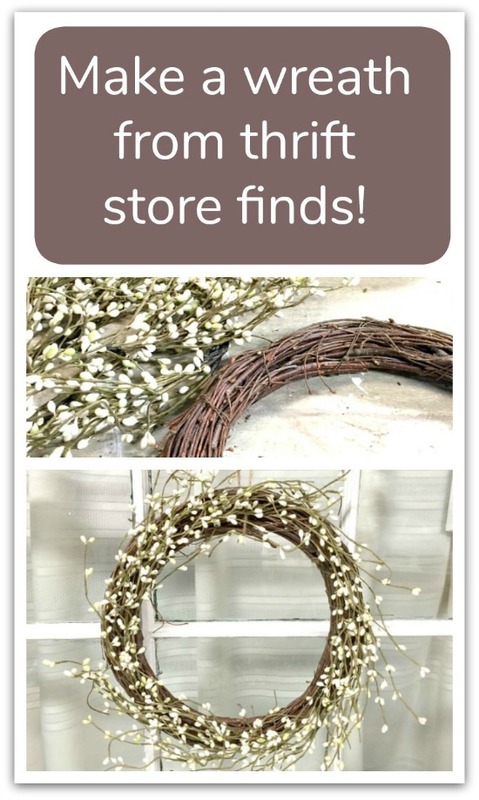 According to Etsy you can pay over $50 for a similar wreath so big bargain here! The lesson here is to always check the thrift store before anything else. If you have a good imagination you can create something new from someone's cast-off. my kinda find... and great save. Love it when a plan comes together and looks great to boot! Way to go!